If you use the Gnome desktop like I do, you will find that a lot of the Gnome apps out there are mediocre for the most part. 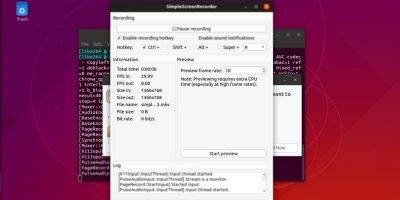 However, thanks to the community, there is also a great deal of software from third-party developers that integrates perfectly with Gnome Shell. 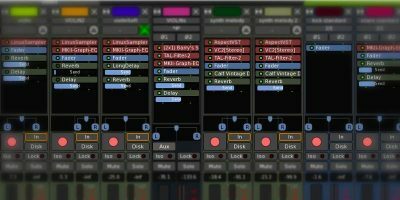 This post will highlight some of the most useful ones. Feel free to leave a comment with more at the end of the article. 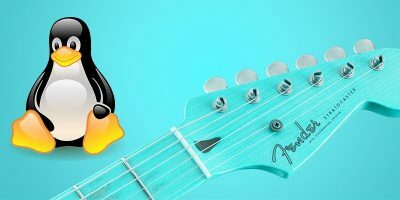 Linux has a ton of great music players available for use, but if you want something finely integrated with the Gnome desktop, Lollypop may well be your best choice. It features a clean modern design and allows you to listen to local media files in a wide variety of formats as well as radio stations. 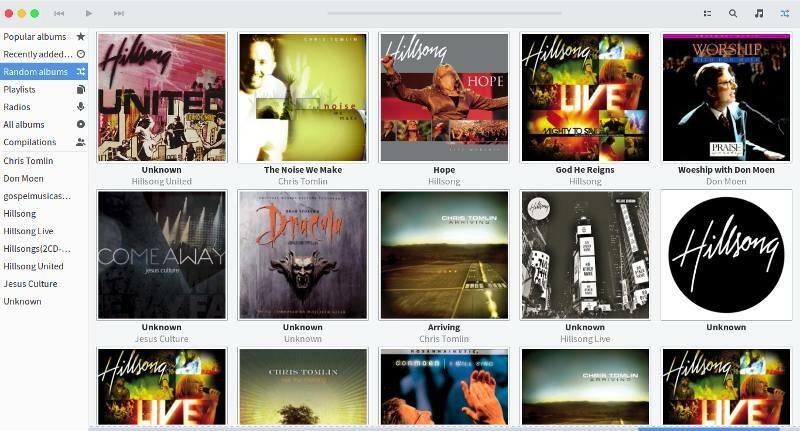 The app is in constant development, and new features are released all the time, so definitely check it out! 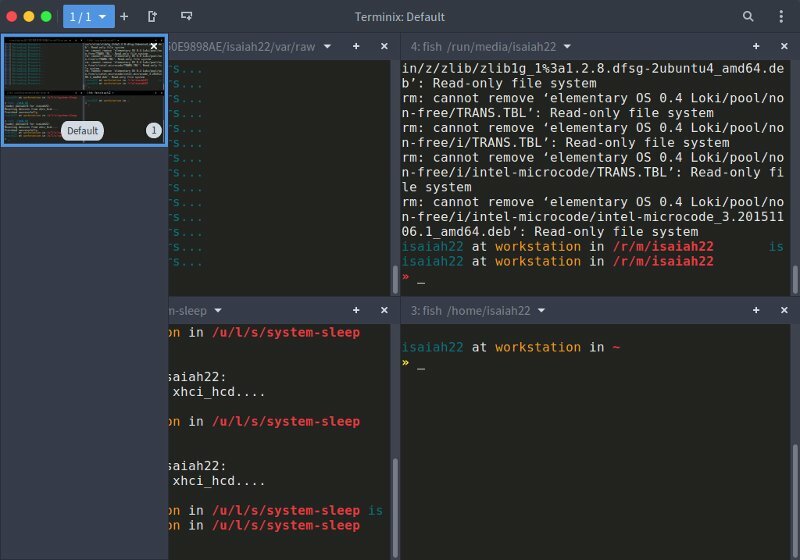 Terminix is an amazing tiling terminal emulator for the Gnome desktop. 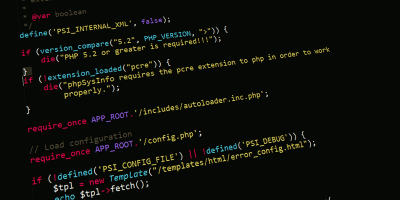 It allows you to split your terminal screen into horizontal and vertical sections for different activities, and this can be a boost to your productivity if you work in the terminal often. The app is also actively developed, and updates are released often, sometimes every week. One of the first things I do when I make a fresh installation of Fedora is to remove the bloated mess of an email client that’s called Evolution. 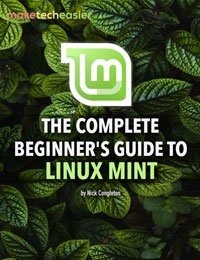 You might be used to doing something similar if your preferred distro bundles the app by default. 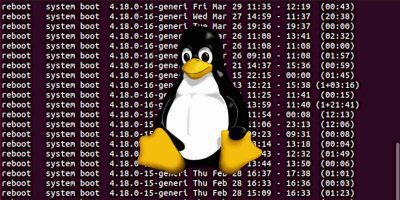 Geary is a lightweight alternative that integrates well with Gnome Shell and works well enough for day-to-day usage. 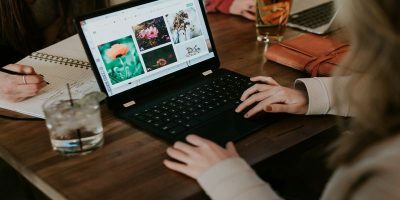 Geary does not pack many features, so you might want to check out Thunderbird instead if you’re looking for something more robust. 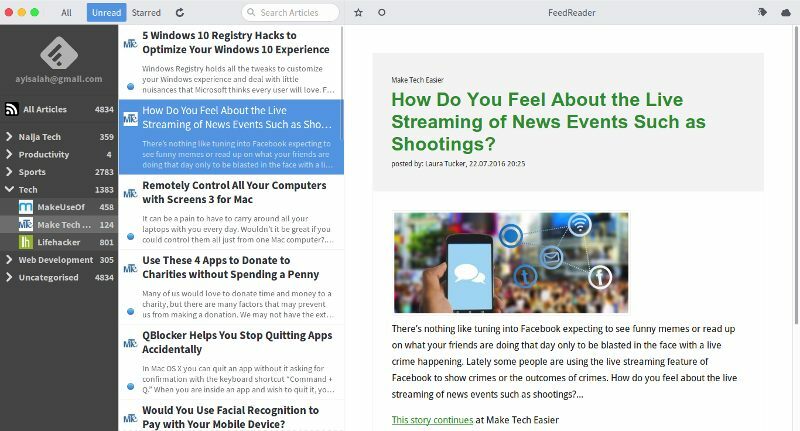 FeedReader is a neat and well-designed RSS reader for GTK-based desktops including Gnome. 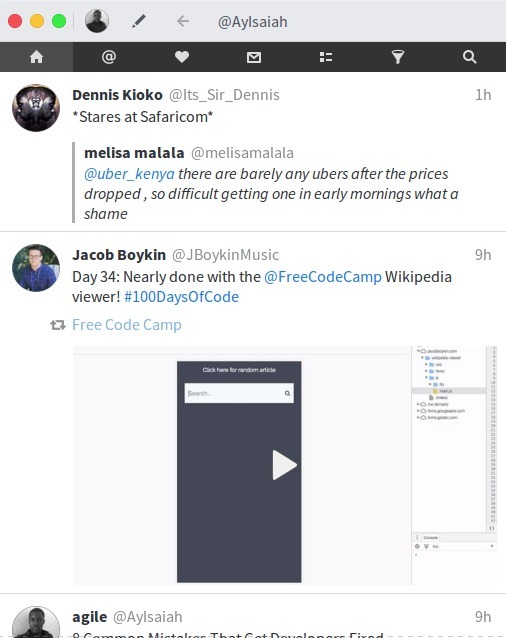 The app supports syncing your feeds with services such as Feedly, Tiny Tiny RSS, OwnCloud, and Inoreader. It also supports sending articles to read-it-later services including Pocket, Instapaper, and Readability. Shotwell, like Geary, was originally developed by the Yorba foundation until they shutdown in 2015. 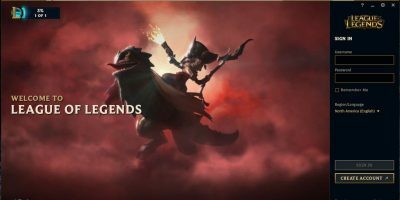 Now the community has taken over its development, and the app is beginning to come alive with new updates. The app organizes the photos on your machine, and it can also import photos from a digital camera directly. 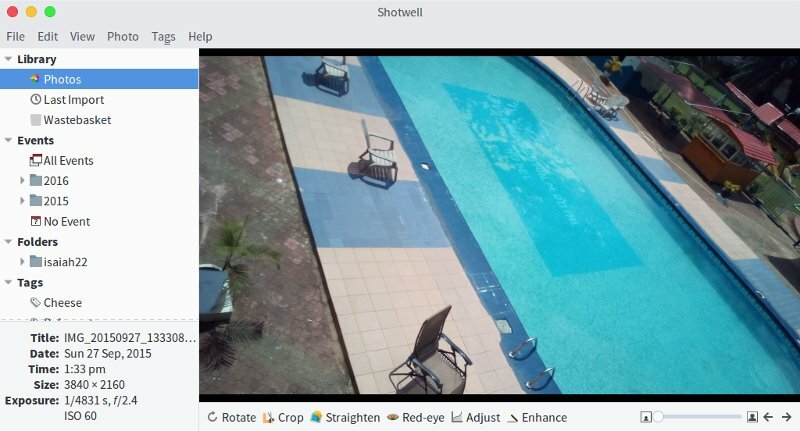 Shotwell also includes light photo-editing tools and publishing options to Flickr, Facebook, Piwigo and more. 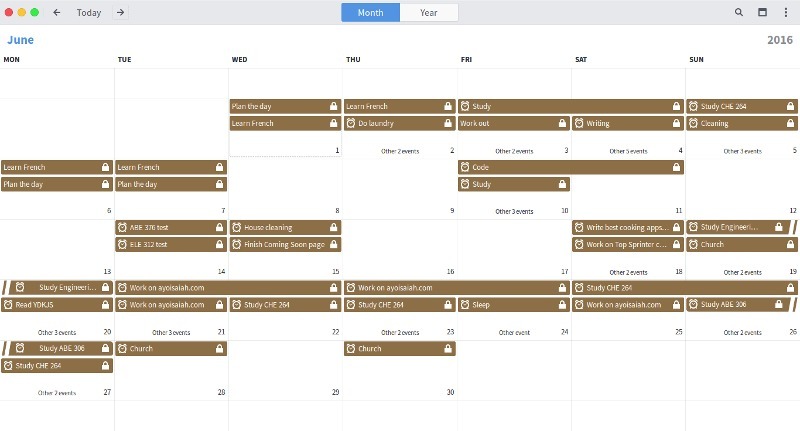 Gnome Calendar is a new calendar app for the Gnome desktop with year and week views and support for local events as well as Google Calendar (via Gnome Online accounts). The next release of the application (version 3.22) in October will bring new features such as dragging and dropping events, reminder notifications, agenda view and support for handling calendar files such as .ics and iCal. 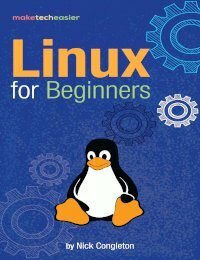 Love Twitter and use Linux? Corebird is an app you might want to add to your collection. The application is easy to use and supports multiple Twitter accounts. You can even view all your accounts at the same time by opening them in different windows. 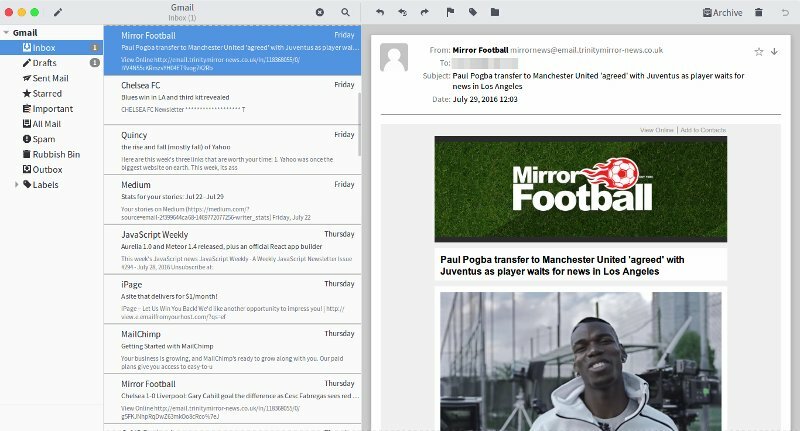 With Corebird you have all the essential features of Twitter and native (customizable) desktop notifications. 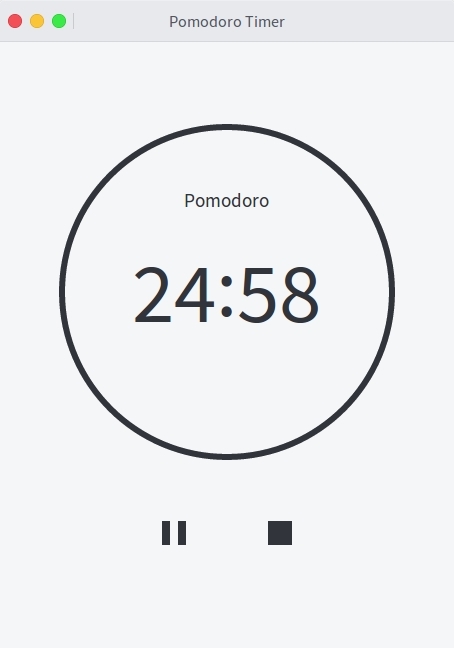 If you want a Pomodoro timer for your Linux desktop, Gnome Pomodoro is the best option I’ve found for this purpose. The app allows you to customize the length of each Pomodoro and break session and also hides your notifications when a Pomodoro session is active. 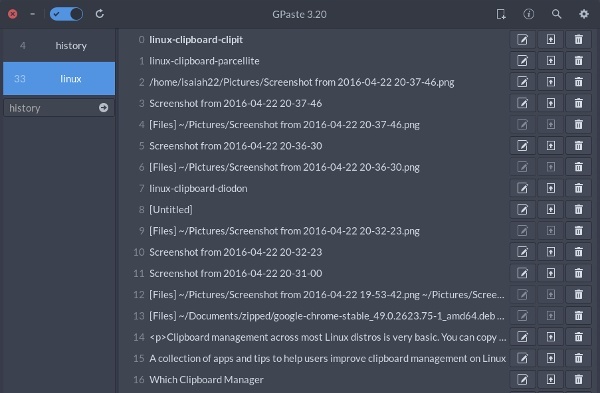 Gpaste is a clipboard manager for Gnome which organizes the items in your clipboard into various categories and allows you to open the clipboard from the top bar through its Shell extension which comes bundled with the app. Gpaste also comes with several keyboard shortcuts for quick access. 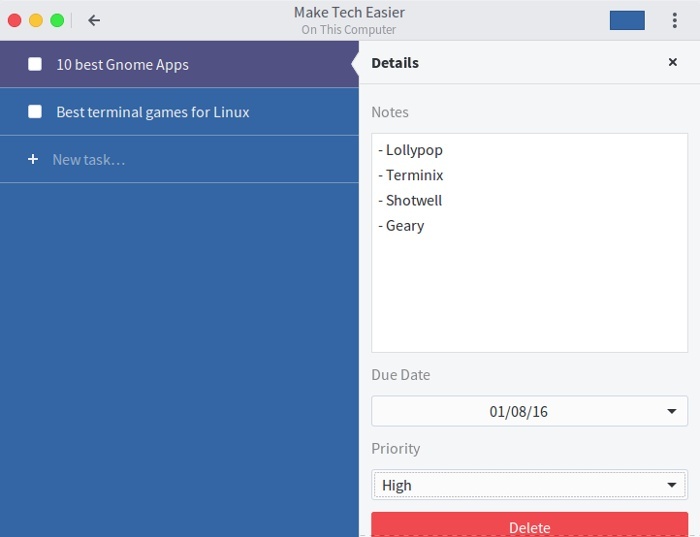 Gnome To-do is a simplified to-do list app for the Gnome desktop. It allows you to add tasks, add notes for each task, set priority and add a due date. That’s about it. This list is far from exhaustive. I’m sure there are other terrific apps built with the GTK toolkit that will function well on your Gnome desktop. Don’t forget to tell us your experiences with the apps on the list and make further app suggestions in the comments section below. May I ask what theme, icon and any specific setting you are using to achieve that mac os looks. Thanks for the excellent post. Hi Barker, thanks for the comment. 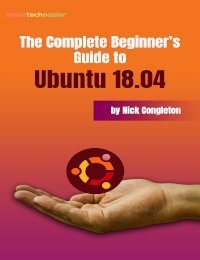 The theme is Arc OSX and it can be found here – https://www.gnome-look.org/content/show.php/Arc-OSX-themes?content=175536. It doesn’t support Gnome 3.20 yet unfortunately (I’m on 3.18). Thank you for your very kind response. I almost forgot about this until couple of minutes ago, when i was just checking out my junk folder (somehow outlook blocked it unfortunately). Regardless, I will definitely give these a try on my fedora machine. Looking forward to more awesome posts from you. Thank you. Any artical about Gnome specific apps should carry a clear warning that they only work right with Gnome shell or Unity but work and look terrible on any other desktop environment. Are Ad Blockers Bad for Consumers?